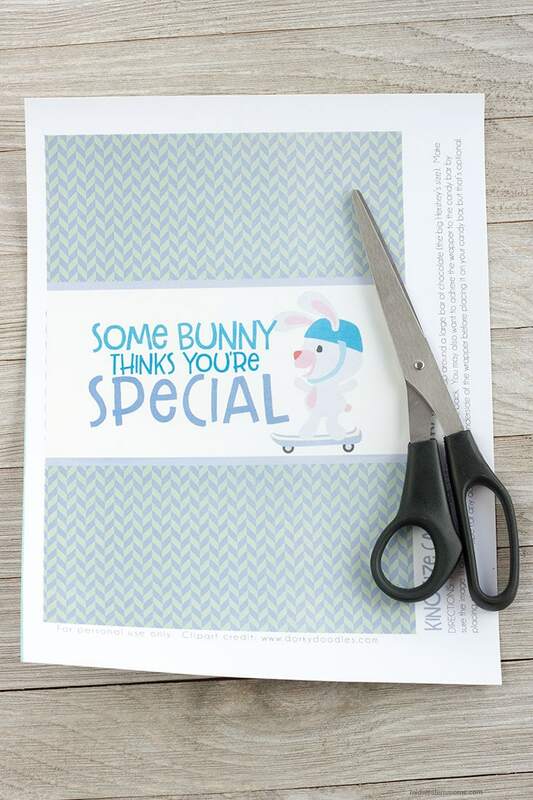 An Easter candy wrapper printable perfect for dressing up an Easter basket! 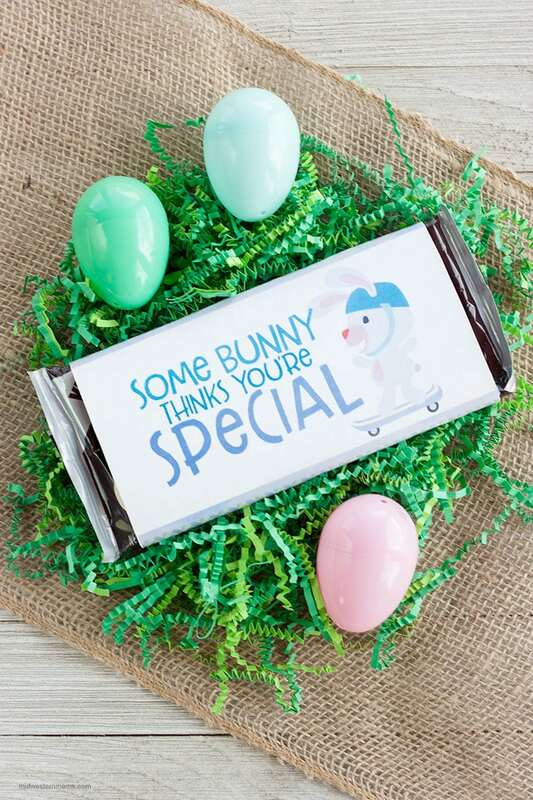 This Easter printable is a great way to add a little bit of Easter to a plain candy bar. This will fit a king sized candy bar. I used an XL Hershey’s Chocolate Bar in the photo. First, you will need to print out the printable (see form below to get your printable) on card stock. Once, you cut around the wrapper, it is time to make your candy into Easter candy. The bunny area will be the top of the candy. Wrap the printable around to the back and adhere it with tape. 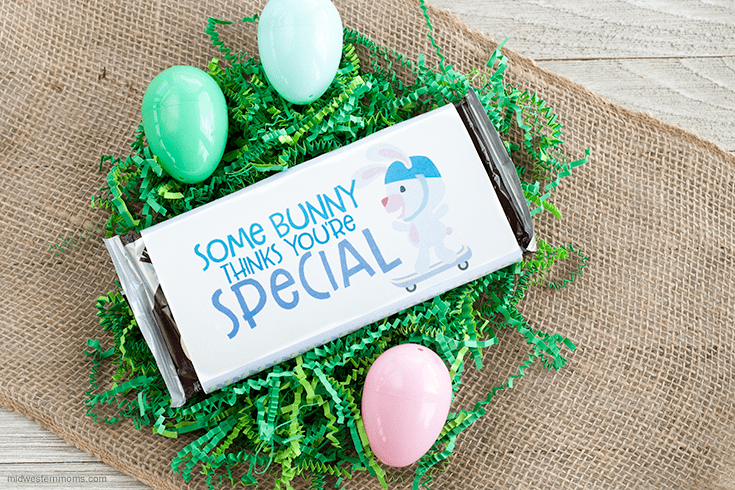 Now, your candy bar is ready for the Easter Basket! To get your printable, you will need to put your email in the newsletter box below. You will then get an email with a link to be able to print the candy wrapper.